PUBG update 12 patch notes are now available for players. The latest PUBG patch 12 includes bug fixes, more improvements for Miramar, and weapon balance changes. In addition, the patch also introducing changes to inventory management, in an effort to increase the speed at which players can navigate menus and change their loadout. The update will roll at 1AM PDT / 9AM CET for PC players. Read more details below. 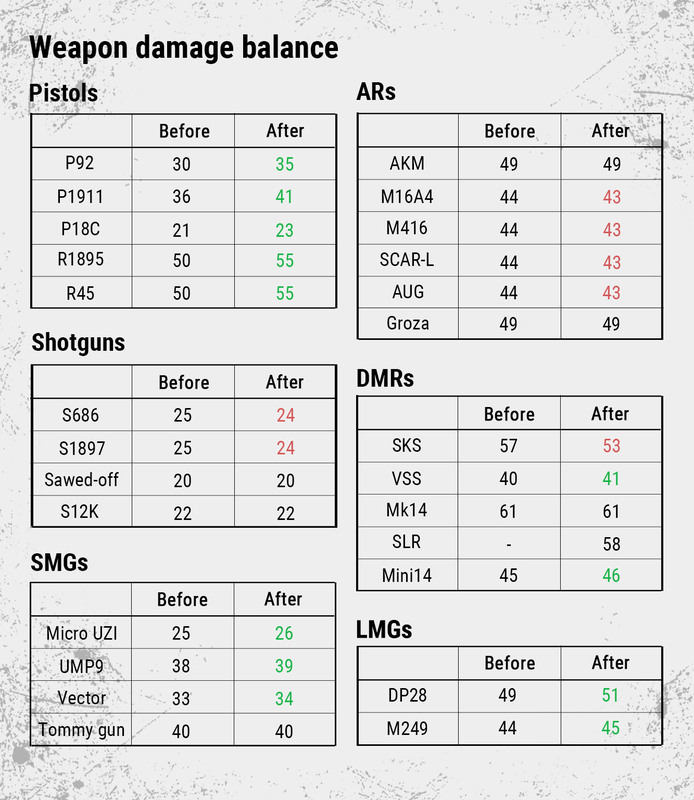 PUBG patch 12 slightly decreased the movement speed when holding SRs, LMGs (M249, DP28) and shotguns. Your equipped weapon affects both your sprinting speed and your running (normal movement) speed. Made some adjustments to the way swimming works to reduce the effectiveness of hiding underwater. Map selection is now available. We’ve also Improved the UI for team mode and perspective selection. As before, only the host can select these options. Renamed the “Rewards” menu item to “Store.” It contains the “CRATES,” “KEYS,” and “MY ITEMS” pages. CRATES Page – Identical to the existing “Weekly Crates” page. Here, you can exchange BP for crates. Weapon ammo is now counted as “loaded” when the magazine or bullet is inserted into the weapon, rather than when the animation finishes. Check your game update and download the latest PUBG update 12.